As we kicked off spring, April was a great month within Truth in Nature. We continue to be blessed with young men from fatherless homes and awesome mentors to spend time with each other in His Creation during our programs. 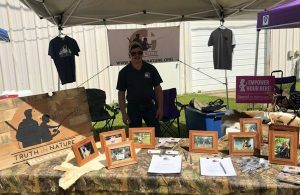 This month we introduced another new Program Director, Jeff Benefield, who will be bringing Truth in Nature Programs to the LaGrange, GA community starting July 2018. As announced in March, Jeff Benefield will be joining Cory Bowes (Apex, NC) and Jim Duflo (Newberry, MI) kicking off programs in new communities this summer. Each of our current chapters had a great month. Our Dallas, GA Chapter held a “Fishing Workshop” Program led by Program Director Don Brooks. 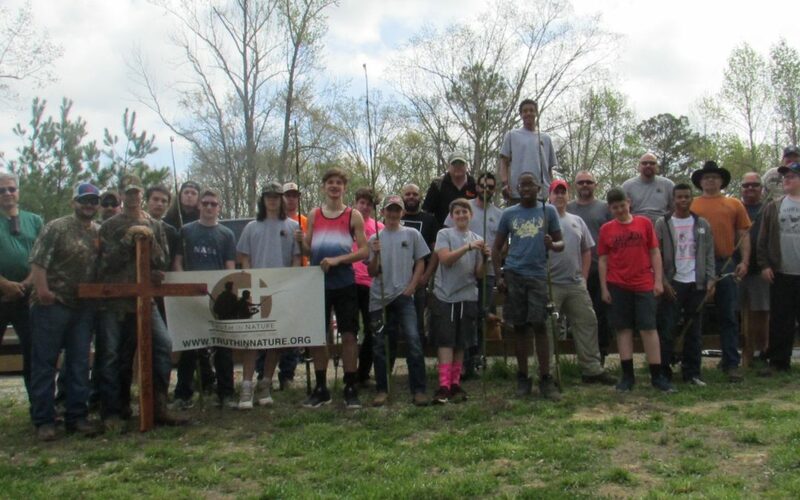 This was an overnight program where boys and mentors shared, bonded, and built custom fishing rods for each of them to use in May Fishing Program. Don Brooks shared his heart after his grandmother had passed on why sometimes bad things happen and how to trust in the peace and relationship with Jesus to get you through. 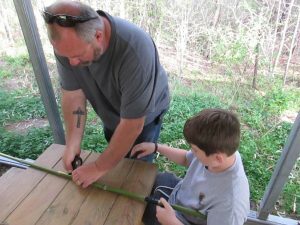 Saturday all the boys and mentors teamed up and each young man built a custom fishing rod. We held a competition with them and Levi was our winner! We also announced our summer leader trip winners who were Jacob, Mohatu, Chandler, & Jackson! In Columbia, SC we held our annual Congaree Hiking Program, led by Program Director Rick Hall. The boys and mentors spent the night at our camp facility in Elgin, SC. We fished some, ate dinner, and then had a great man time discussion around the camp fire and a devotional led by mentor Will Stroud. 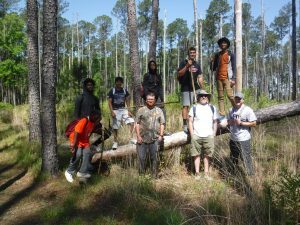 The next day boys and mentors headed to Congaree National Park to do some Hiking. Even though a lot of the trail was flooded we still got to hike the board walk and Long Leaf trails. We ended with a devotional and lunch before heading home. Over at our Bush, LA Chapter our April Fishing had to be cancelled due to heavy rain fall and high winds. Program Director Ronnie Alpha had to make the call, which sometimes we have to do, to keep the safety in mind for the boys and mentors. However our Bush, LA Chapter did finish in 6th place and were awarded $4,000 in the Annual Gulf Coast Bank Community Rewards Program. In addition Ronnie represented Truth in Nature Bush at the Alive Christian Music Festival. Thank you all who participated in these programs and events during the month of April. At an organizational level Truth in Nature was able to present and get in in front of other groups to share about how these programs could impact the fatherless and single parent boys in their communities in hopes of God guiding a new Program Director to start a local Chapter. This was highlighted by Regional Director Michael Rivers sharing with Victory Church in Houma, LA on starting a chapter there. 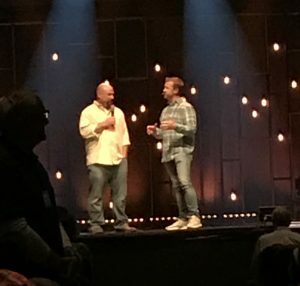 Executive Director, Jeff Davis, was invited to speak on Truth in Nature during a part in the church service at West Ridge Church on April 22nd. He was surprised with a $20,000 gift to go towards the expansion of these programs into other communities.